The need for a new third runway was emphasised again with the publication of the CAA data relating to passenger traffic at all British airports for the period 2011. 69.4 million passengers went through Heathrow airport in 2011 with it operating at 99.2% of capacity. Even the January 2012 figures are up on Jan. 2011 by 2.3%( which is considered not bad since we are supposed to be at low economic activity). However, what has to be looked at is the "why", "what for" and "for whom" of the question of the third runway. This third runway should not be looked upon as just an additional runway at Heathrow airport to be used freely, without any limitations. That is really not an option. That would only increase the acoustic and air pollution to other areas of the South East. If you imagine A330s, A380s, B747s, and B777s flying to and out from it then you could see that the runway would just multiply the noise and fumes as produced from the preceding two runways. The worst fears of the environmental lobby, to a large extent justified, would be realised. A solution must be found and can be found to square the needs of the airport as a hub and the fears of environmentalists. Having looked for maps about the proposals for a third runway, none has been found that can really be called credible so an impression has been shown by this blogger. To understand what is illustrated one has to see that three criteria have been used. 1- the distance from the present northern runway to the new third runway is 1.5kms. thus enabling independent usage of the runway. 2- the length of the third runway is the same as the other two runways. 3- the width of the third runway is the same as the other two runways. About these points, in general, there cannot be any real discussion. The distance to the north is laid down in safety legislation and instructions. There might be a small difference in the actual measurements, but nothing appreciable to make a significant difference. What does the (Civil Aviation Authority) CAA want really and what does safety demand?The length of the runway must be decided upon the needs of present and anticipated aircraft for take-offs and landings.Both the B747 and A380, the largest aircraft flying or due to fly, need up to 3.5kms of runway for take off. Landings need far less distance. Obviously smaller aircraft need less room.The width of the runway is dictated by not only the size of the aircraft, but also the margin needed in adverse meteorological conditions. This means crosswinds which can be quite tricky as anyone who has seen the YOU TUBE videos on the subject can testify. Safety must be paramount in these considerations. You might ask why the third runway(R3) has the same dimensions as the other two main ones?Well this blogger considers it a waste of time, space, effort and money to fight for a platform which others could and would well consider inadequate in the,not too distant, future. It has to be said out loud that one of the considerations for building this runway is to facilitate the better use of facilities and runways at the rest of the airport. One extremely important aspect to consider is if one of the two main runways is put out of action. This could be because of weather (as has already happened), accidents (fortunately few and far between),normal maintenance (even runways have to be relaid from time to time) or whatever exceptional reason. However,the be all and end all of R3 is NOT to be a substitute runway for the first and second. If a focus on its aim can be given then a better understanding of its workings can be provided. As stated before this blogger considers that R3 should be independent of the other two.This is important in that it means no planes crossing south to or over the other runways so not causing potential interference in operations and increasing risk. The way to make efficient use of R3 is in mixed-mode. This means that the runway is used for both take-offs and landings at the same time.That also means no usage of terminals 1-5 by planes landing on/taking off from runway three. Therefore, the answer is a terminal 6 (T6) specifically for the services run from R3. Obviously,at T6, a new rail station would be built on the line to Paddington so that Heathrow Express and Crossrail (at present Heathrow Connect) services could provide connections to both Central London and the other terminals. Size of aircraft. Propeller driven aircraft have long since disappeared from LHR to be replaced by jets. Even these days the small jets have tended to disappear in favour of medium sized ones. The smallest jets generally are Airbus 319/320s or Boeing 737s. One thing is to try to maximize revenue from each route flown by having bigger aircraft flying. At an airport like LHR where capacity is limited then this is quite logical but means that the "thinner" routes (those with fewer passengers flying) get cut out. Safety factors:To fly smaller aircraft (or even medium sized ones) behind large ones is extremely dangerous due to the wash from the engines. The is true on both landing and take off. Apart from collision precautions the distance a smaller aircraft flies behind a larger one is determined by the turbulence caused. This rules out any small jet and turboprop following a B747 for example. 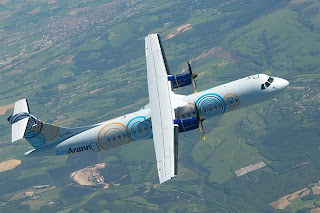 The smaller aircraft would be just thrown around the air.The turboprops tend to fly at slower speeds also so demand a greater separation between aircraft than if they were all jets flying at the same speed. The access for smaller aircraft is thus limited. With R3 this access can be provided. As you can see from the photographs below they are all propeller driven aircraft e.g. ATR, BAe Jetstream and Dornier. These are the sort of aircraft which most likely multiply on Heathrow runway 3. They will share the airspace with the medium jets (A319/320s ; B737s), and small jets (Bombadier CRJs and Embraer ERJ/170/190s). Thus, attractive but less dense routes would be opened and serviced - most probably leading to a greater variety of destinations. Noise created:It should also be said that the smaller the aircraft the lower the noise they make even if they are all jets. Obviously the smaller jets need less thrust for take offs and landings than their bigger cousins so it is safe to say that the noise factor, and thus toxic fume factor, will be much lower than for the other two runways. It is superfluous to say that the propeller driven aircraft make no noise of note outside the airport boundary. The road traffic on the parallel M4 motorway provides much more noise(and fume) pollution. What areas does the T6 serve? The British Isles should be considered as a whole. 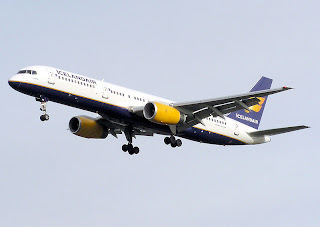 Ireland has no road or rail connection to Great Britain, so it is essential that air connections are provided to the greatest extent possible to those areas which wish to be connected to Heathrow(LHR). At present Aer Lingus provides 23 daily flights to Dublin,Cork,Shannon and Belfast. Bmi(before its absorbtion into British Airways - BA) provides another 10 daily flights to Belfast and Dublin. What will happen to those flights once inside BA is anyone´s guess at the moment, all, some or none might be kept. What can be said is that there is a demand from (probably) 4 more airports in north and south Ireland. The Crown Dependencies of the Isle of Man and the Channel Isles (Jersey, Guernsey, Alderney - the other islands have no airports) have lost representation at LHR over the years so that they now have no flights. It is an unacceptable situation whereby flights from UK or Crown territories, with no option of road or rail connections, wish to maintain an air link to the UK´s hub airport but have been squeezed out so that the "slots" can be "used more profitably in expanding markets". This is cowtowing to the wishes of the airline lobby. The British Government must have a coherent aviation policy including the defense of connections from the major hub airport to the outer reaches of British territories at reasonable cost. The outer reaches of Great Britain itself have lost many of the connections to LHR. Newquay, Plymouth(airport now closed), Exeter, Leeds/Bradford, Teeside, Inverness - once busy routes now have no connections. The domestic flights that remain are from BA (Manchester, Newcastle, Edinburgh, Glasgow and Aberdeen) totaling 43 flights per day and Bmi (Manchester, Edinburgh and Aberdeen) totaling 16 flights per day. More than likely these flight numbers will be reduced as Bmi is absorbed into BA thus leaving BA as the only airline flying domestic flights into LHR. There is a possibility that the competition authorities insist BA give up some slots so that a/some domestic competitor(s) can provide an alternative service. The best suited competitor to step into this role easily (as indicated by its flight patterns from Gatwick) would Flybe. Even that would be problematic since BA owns 15% of Flybe. Whatever the solution this will always be a stopgap policy until the third runway is built. Then to provide true competition domestically any airline should be permitted to fly into LHR using runway 3 and T6 from any domestic destination. Without mentioning the places already named there could possibly be a demand from another 8 domestic destinations.The cost of using the airport facilities would most likely determine demand from different airlines from different destinations. Virgin Atlantic has come out yet again objecting to the BA/Bmi takeover in TRAVELWEEKLY (20 February 2012)‘Block BA and Virgin will replace BMI’As a headline it reads well but Richard Branson is always good for a quote but little else. The Virgin Group had their chance to bid for Bmi, were beaten by BA and did not try to up the price so has lost out. Sir Richard´s credibility is now at rock bottom.Somebody else will have to step in to provide the competition at LHR for BA, probably with the help of the competition authorities. Maybe in the meantime Bmi Regional, which has already been sold off to investors (not IAG/BA) might be an alternative. The only other airline of note is the regional Eastern Airways (based in Aberdeen as is Bmi Regional). Flybe has already been mentioned as a possibility.We shall have to wait and see. 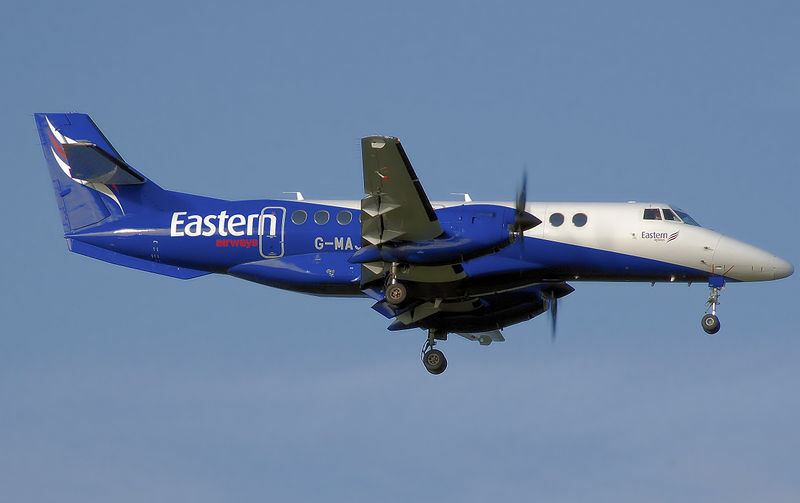 There are no longer any services from LHR to the Isle of Man and the Channel Isles. However, considering which airlines fly from other London airports to all or any of these destinations, BA would fly to only Jersey. 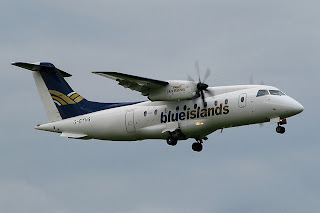 To Jersey and Guernsey would fly Flybe, Aurigny Air Services, and even Blueislands while the Isle of Man would be served by Flybe or even Aer Arann. Alderney presents as problem as an adequate aircraft has to be found to operate from its 880 meter runway. The number of flights that would be produced by opening up R3 is impossible to estimate - even if the flights are limited to the British Isles. However, we do know the present number of flights to/from LHR. If we look at the three categories already mentioned then for the Great Britain domestic flights, Ireland flights and Crown island flights the total be 92 flights per day. Since, however, R3 would be used in mixed mode then the aircraft movements are double that- 184 daily movements. To put this into perspective the number itself is not a lot for the premier UK hub, and not even just one runway. Gatwick is Britain´s second airport and uses just one runway in mixed mode. Assuming that the demand for slots could approach Gatwick´s number then there is plenty of room for maneuver. Though nobody would dare suggest that normal usage would demand so many movements Gatwick Airport´s own website does give the information that Gatwick´s busiest day was 22 August 2008 when there were 895 aircraft movements. I am not suggesting that the third runway at Heathrow should or even could have so many daily movements as that exceptional day at Gatwick. However, it does go to show that the possibility of expansion to accommodate flights from every region of the UK and the other islands would be a viable proposition. Therefore, this blogger suggests looking at other destinations which might benefit using R3 and came up with 4 other island nations - Iceland, the Faroe Islands, Malta and Cyprus. The destinations would not be squeezed out (but even allowed in, in the case of the Faroes) without tremendous disruption.Being based at T6 would not suppose splitting up airline opperations or alliances. Present daily flights 7 (14 movements). To increase usage of R3 while limiting the disruption the Benelux countries were looked at. Each country´s capital airport runs flights into LHR - from Brussels, Luxembourg, and Amsterdam.Flights do not operate into LHR from the other five airports of some importance in the region. Here the countries are close, with strong competition from Eurostar rail services (with the possibility of being extended from Brussels to Amsterdam in the near future). In fact the flights operate just like Great Britain domestic ones. In total 33 daily flights / 66 movements. Other destinations/countries were looked at and none came up as really interesting additions to T6. 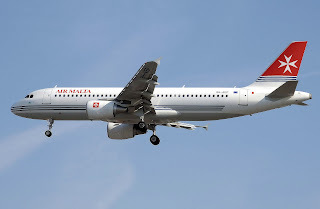 Switzerland seems to be the most likely candidate to be able to transfer flights and operations to T6, but without doubt LHR would come up against the wishes of the airline Swiss, backed up by the rest of the Star Alliance and even the Swiss government. In the case of Air France, Alitalia, SAS or Lufthansa then they would most likely have to split operations. Other smaller operators would lose the benefits of flying to/from the 4 main terminals. Longer distance operators tend to use bigger aircraft making difficult aircraft use on R3. 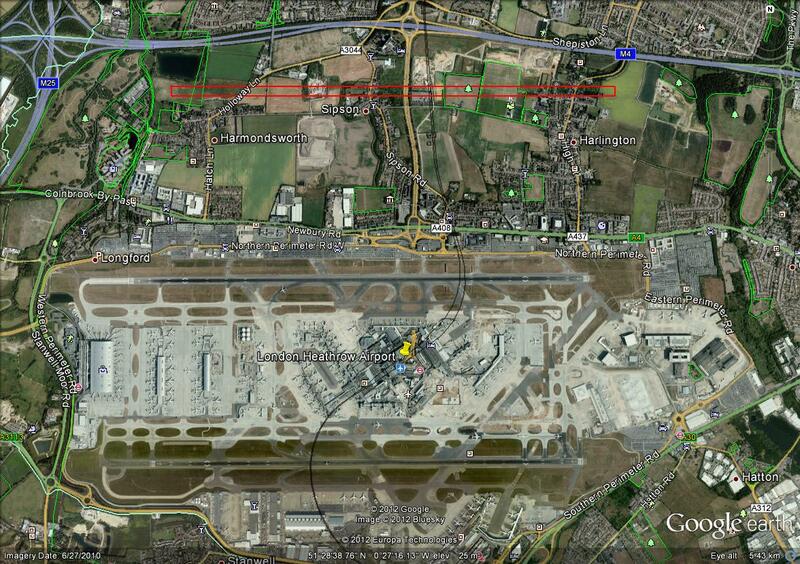 BA is the only operator asked to split operations, between T5, T6 and probably still also at T3. However, this should be no great difficulty for the airline since it will possess 53% of the slots in 2012 at the two runway LHR. It is also the greatest beneficiary since it wants the slots vacated on the two runways to be made available for expansion into more long-haul services. Other operators would pick up most of the other slots vacated. What it means in movement at the airport. All three alliances would be affected. BA (oneworld)would move all its domestic flights, its Benelux flights, and its Cyprus flight to T6 (61 daily flights). Bmi would move its domestic and Ireland flights(26) to T6. Aer Lingus would move its Ireland flights (23) and entire operations to T6. Brussels Airlines(Star Alliance) would move its Brussels flights (4) and entire operations to T6. flights(12) and entire operations to T6. Icelandair would move its Reykjavik flights(2) and entire operations to T6. 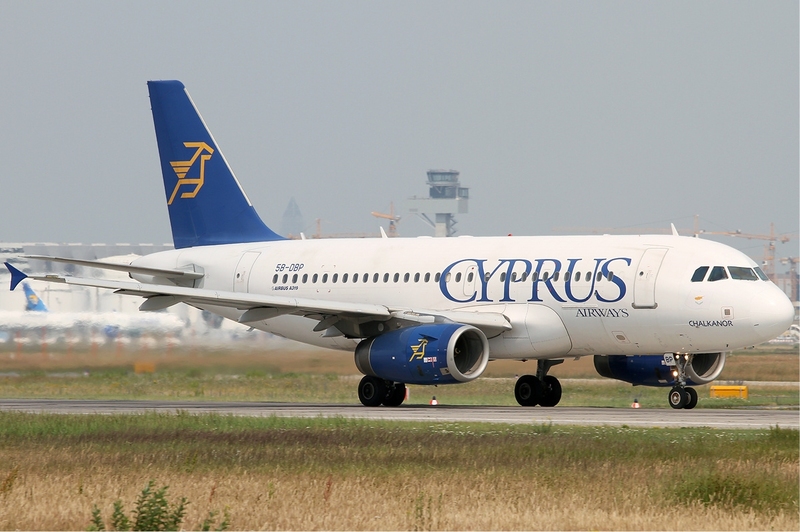 Cyprus Airways would move its flights (2) and entire operations to T6. Air Malta would move its flights (2) and entire operations to T6. If the flights to Luxembourg were transfered to T6 then it would mean the return of Luxair to LHR. The entry of the Faroe Islands into LHR would mean their international carrier Atlantic Airways would make an appearance. As has been shown the capacity of R3 is such so as to provide room for a large number of present aircraft movements at LHR - 132 flights/264 movements daily - that would translate into about 87-90,000 movements per year. That is without adding any new flights or destinations. These movements would be taken from the present two runways so free up space for the much desired long-haul operations. A lot of the slack in the slots at R3 would be taken up by competitors to BA on domestic and Irish routes. Even from near Mainland Europe, where jets do not have such a time advantage as over longer distances, there could well be (non-alliance) operators willing to set up flights on "thin" routes using smaller aircraft which the "legacy" carriers do not want to operate. 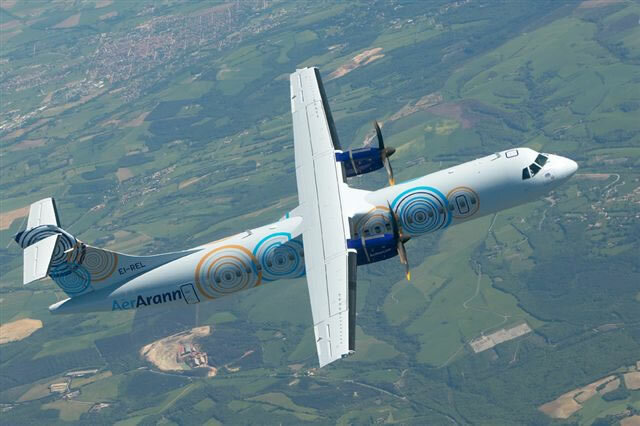 In the Benelux countries flights could originate from Groningen, Eindhoven, Maastricht, Rotterdam or Antwerp; from Germany, Dortmund, Düsseldorf or Cologne; and from France, Rouen, Cherbourg, Dinard or Le Havre. -A third runway to be used principally and preferably for ALL British Isles flights, favouring the establishment of services to the outer reaches of the islands. -the size of the runway to be determined by needs in exceptional circumstances so as to maintain the smooth running of the airport for all passengers. -An independent terminal to be provided (T6) for ALL operators on R3. This would be connected to the other LHR terminals and Central London through a dedicated rail station on the Heathrow Express line under or next to the terminal. -Severe limitations to be put on operators to ensure the use of less noisy aircraft which over the years will demand a steady reduction in decibels produced on landing and at take off. -Severe limitations to be put on operators to ensure that engines on the aircraft do not surpass certain strict maximums on toxic emissions which will be reduced over a determined time (e.g. one generation). -These limitations on noise and fumes to be extended gradually to the other runways and other airports over a reasonable length of time. -To lift the restrictions on runway building at other airports, meaning Gatwick, so that runway construction can start there when the present limitation runs out in 2019. -The previsions and limiting factors to be put into binding legislation and applied with vigour. -Consider proposals for a fast rail line from Reading, through Heathrow then Gatwick and on to Ashford. This would open up the possibilities of direct rail services from both airports Englandwide as well as to Mainland Europe. and others up to the present. I think it has to come. Great and informative post about the Heathrow 3rd runway. The way of analysis is done was impressive. I have enjoyed it. Thanks! Informative post regarding Heathrow's third runway. I have gained some knowledge through this post. Appreciated for creating and sharing the post!